Today’s lesson is on the necessity of avoiding fatal mistakes. The following question and sample was submitted by a candidate who works in IT and needs all band 8.0. 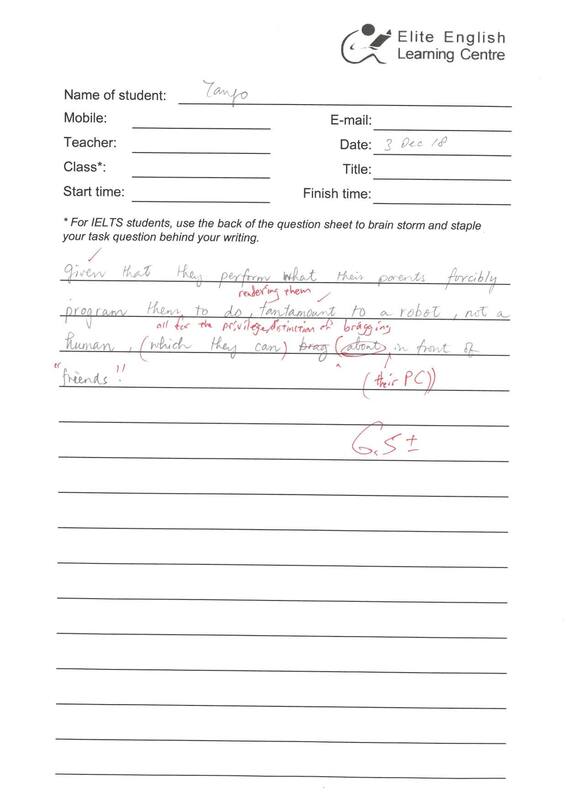 Therefore, the feedback given to this candidate who is taking only private lessons, is much more targeted and is needless to say, quite different from the feedback given to a student who would be targeting a 6.0, 6.5, or even a 7.0. 8.0 is the cream of the crop. The candidate’s performance could have been an easy 7.5 except they made 2 fatal mistakes, which immediately would have made it as low as a 6.5 or even a 6.0. This inaccuracy was augmented with considerable complexity of sentence structure that was somewhat mitigating. Very common mistakes that virtually all of the candidates in Hong Kong make. 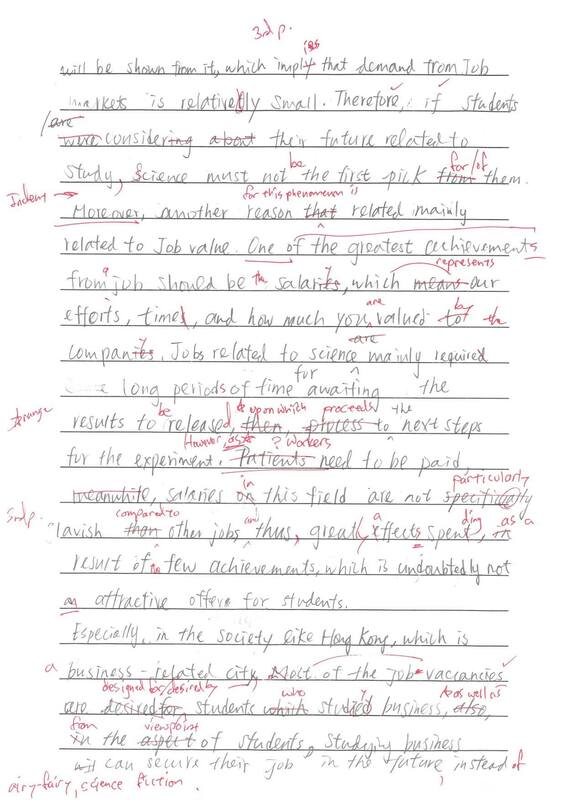 It is not helpful to open the essay with a simple sentence. The introduction makes a damning mistake, and the result is thus sealed. Better sign posting or linking has been supplemented which was lacking. The conclusion has improved upon past performances yet still uses rather common complex sentences. An alternative that leaves no doubt as to the caliber and band has been suggested for reference. Today’s tip is on the importance of clear paragraphing. 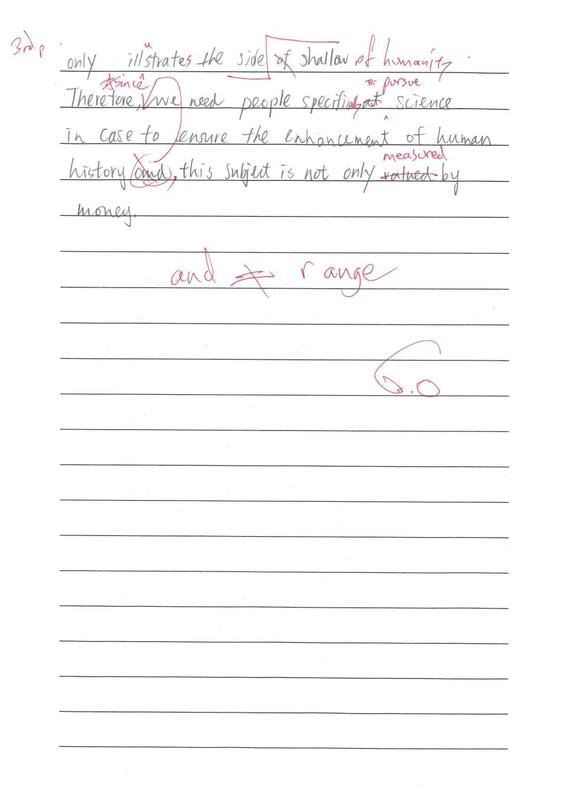 The following example is by a typical Hong Kong DSE student who is targeting a 6.5 and has at the moment only a 5.0 approximately skill level. Many parents feel that competition should be encouraged among children. Others believe that other skills or qualities are more advantageous. Discuss both these views and provide your own opinion. 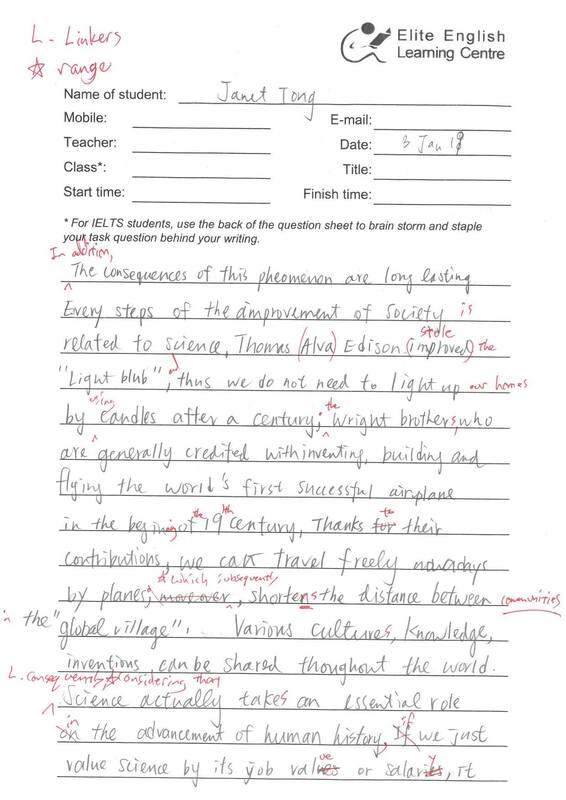 The essay is 1 giant block with no clear paragraphing. The grammar has been corrected and linkers provided. Paraphrase the topic; give a clear thesis statement. The benefits and drawbacks of competition. Cooperation as a superior alternative. Reiterate why competition is not desired and why cooperation is a superior alternative. 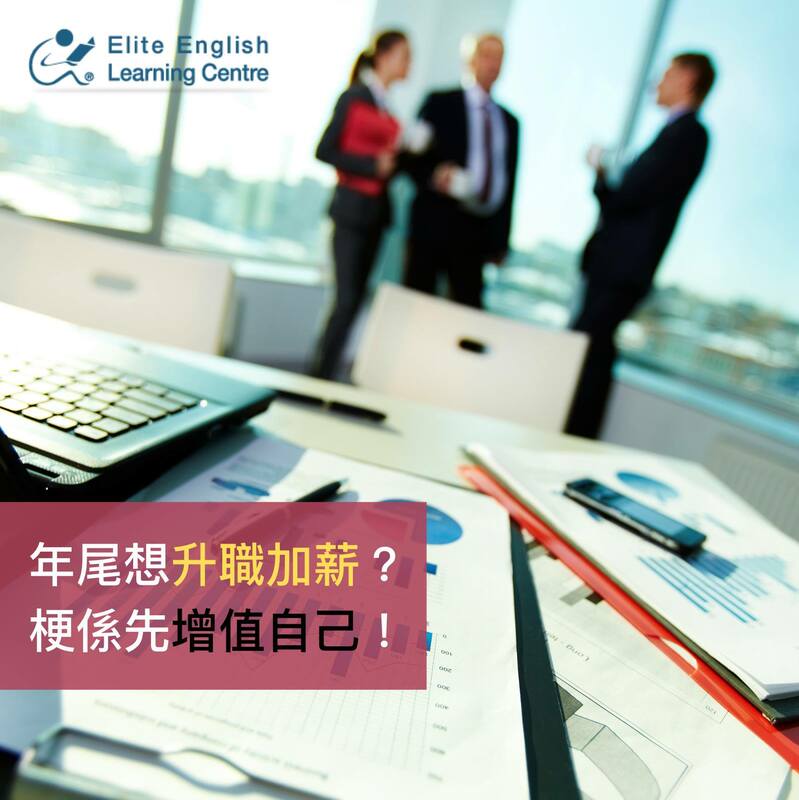 This week we take a look at yet again, the most persistent HK-Chinglish errors that nearly all of the HK students are making in the IELTS exam. 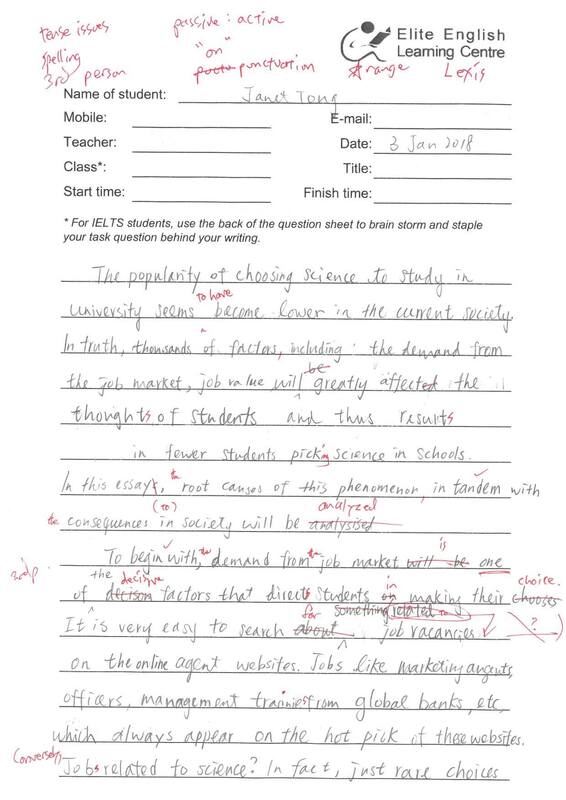 Although there are many mistakes in the following essay, all of which have been corrected, this analysis will focus on the most critical errors, or headshots, that even one of which will derail a 7.0 attempt. 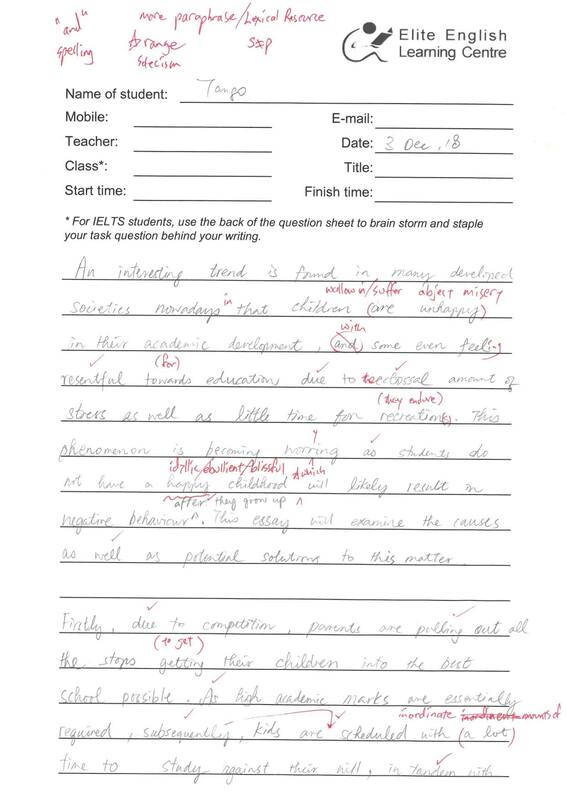 Notwithstanding the candidate demonstrates above average lexical resource with some sophisticated complex sentence structures, adequate usage of discourse markers and clear progression of ideas, some careless and fatal mistakes are also made, including single plural incoherence, overuse of simple words, some broken sentences, lack of coherence or development of introduced Task Achievement topics, wrong use of pronouns mistakenly used as conjunctions which they are not, ultimately rendering the attempt a reasonably strong 6.5 but no cigar and no champagne. ☑️ 10. over use of “on” as HK-Chinglish’s favorite no. 1 preposition, which is NOT a master key.